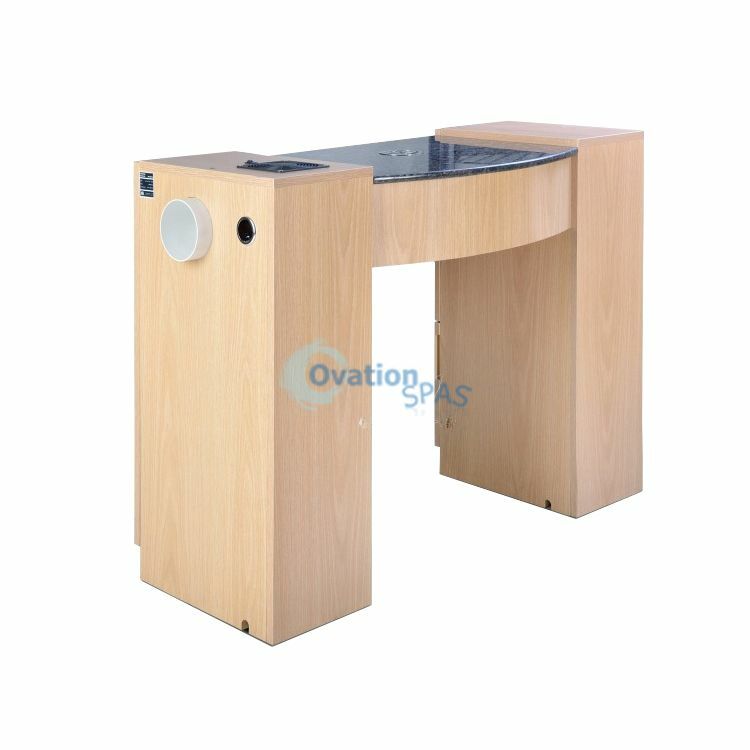 MADE IN USA - The IMC™ vented nail table connects directly to your salon's ventilation system. 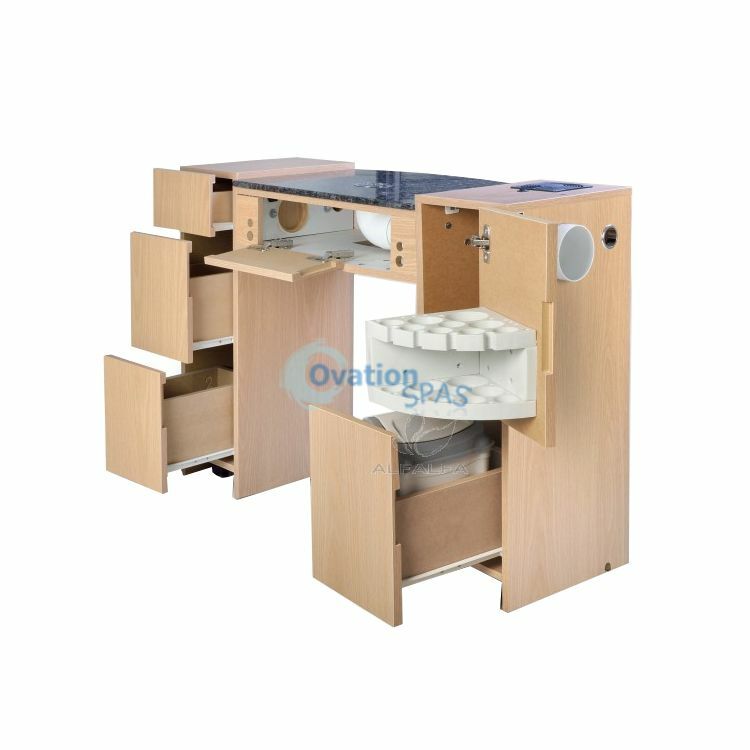 It satisfies ventilation requirements mandated by certain states.This table an easy choice with plenty of storage for all your tools. 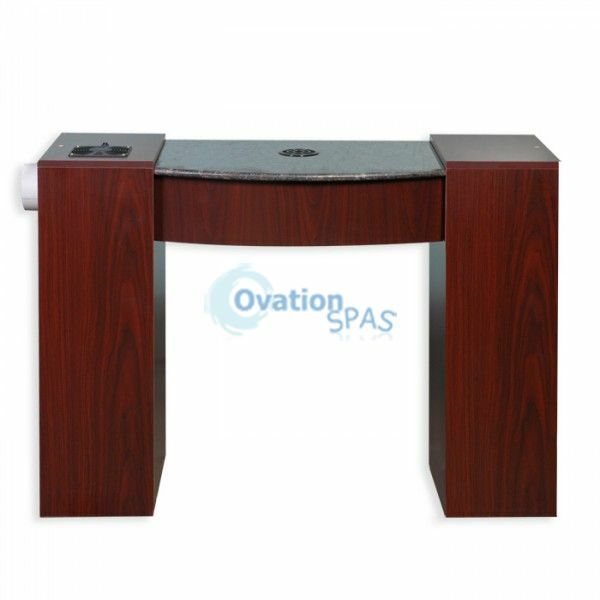 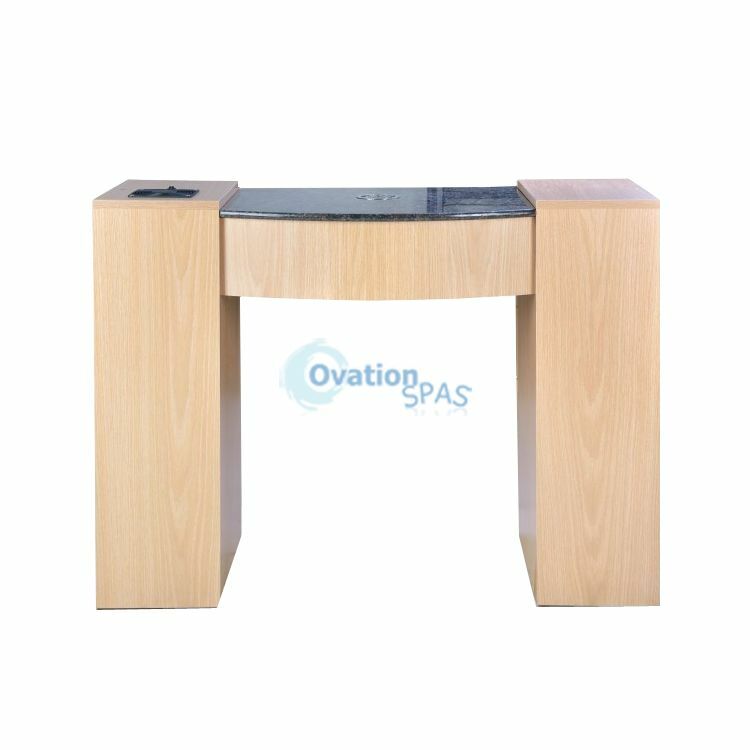 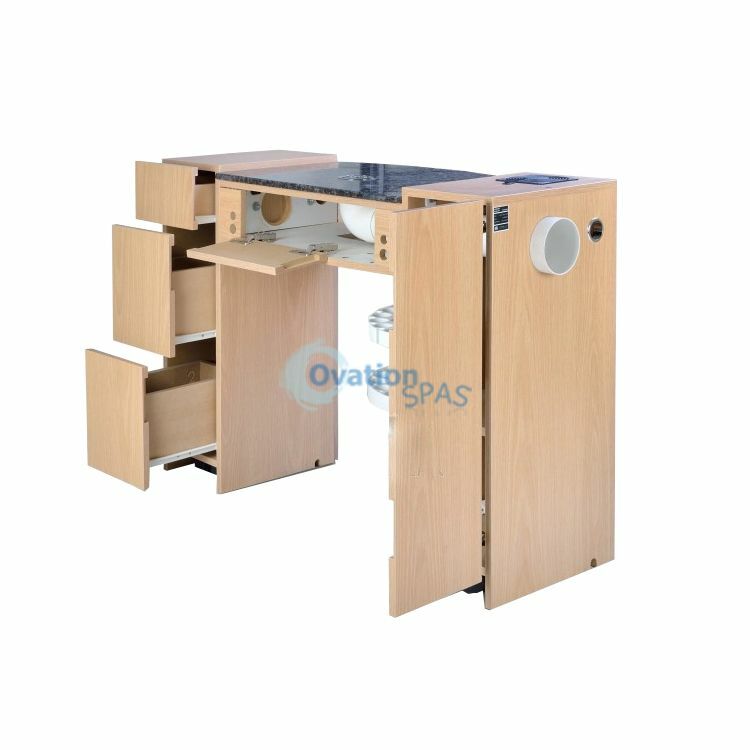 This sophisticated and well-engineered manicure table filters nearby dust to keep your customers feeling safe and protected from harmful toxins and particles. 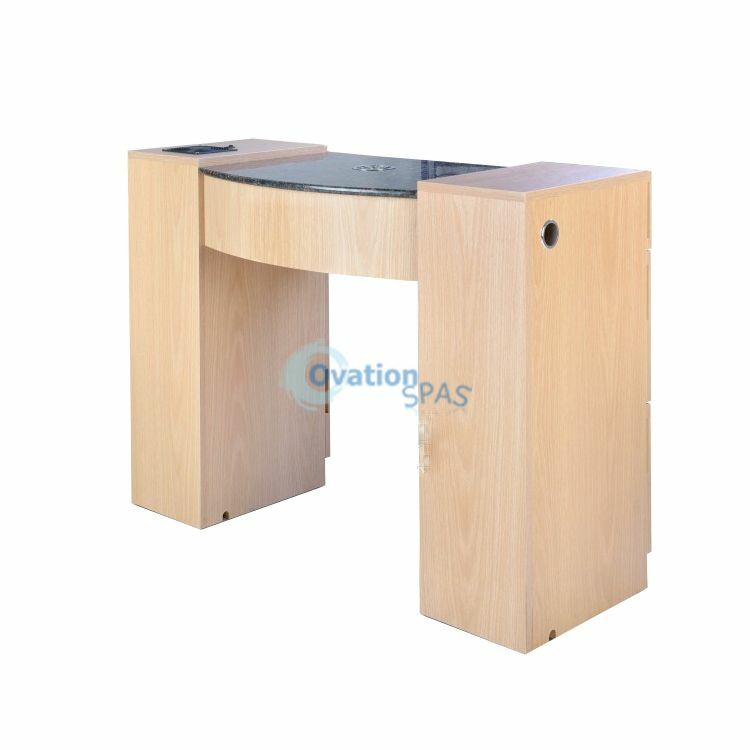 For quality assurance, each of our manicure tables are designed and assembled here in the USA. 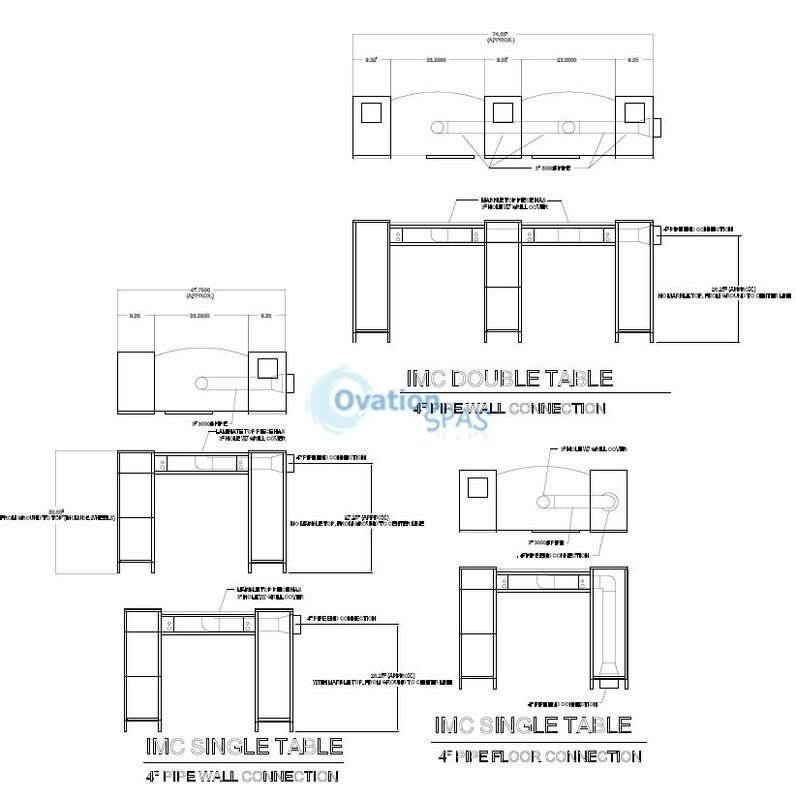 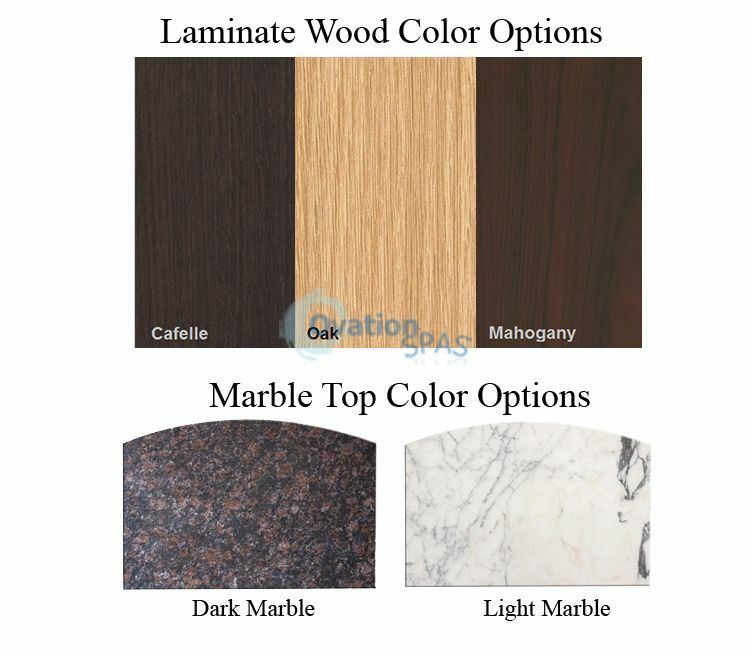 Each table is custom-built and made-to-order with your choice of Oak, Mahogany of Cafelle laminates.